Infographic of the Week: Make Social Pretty, without ripping your hair out. A picture is worth a thousand words so you should be taking advantage of that through out all of social networks. But if your ripping your hair out resizing images noticing that some don’t look quite right on other networks, just hang this ridiculously large infographic on your wall. This is an oldie but a goodie brought you by Lunametrics. This is the ultimate reference sheet for image sizes for Facebook, Twitter, Linkedin, Google Plus, and more. If you haven’t seen this then I’m sure you are thankful for it, and if you have an Amen will do! Social Media Numbers of 2012, Are you surprised? What was the record breaking retweet? What is the most active country on Facebook? Number of times the +1 button is pushed per day. Questions answered and many more interesting numbers can be found below thanks to Royal Pingdom. 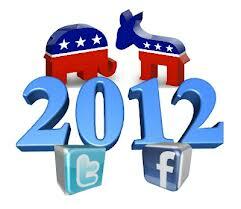 If you would like to see overall numbers on the internet for 2012 be sure to check out their blog. I also included the mobile numbers of 2012 as well because I think this is a valuable prediction of what will be important for marketers this year. With mobile usage steadily rising and with it being a direct line into staying connected in the social atmosphere social media and mobile strategies are key in any businesses digital strategy. 85,962 – Number of monthly posts per Facebook Page in Brazil, the most active country on Facebook. Infographic of the Week: How tech savvy are your kids? And how does it make you feel? Being a parent these days I believe is way harder than what my parents had to deal with. It’s like all the normal growing pains of kids is amplified by technology. And I’m not just talking about teenagers because obviously that can be a whole story of its own with drama spread via social media. Look even younger 6 mos to 5 year olds. So many of these kids are exposed to tablets, computer games, and texting all before they can even crawl! Sure the technology is cool, but does that cripple the growth, and health of kids because maybe their accustomed to choosing a gadget rather than playing a game? The numbers in this infographic reflect the truth and is quite alarming. Nice days seem pretty quiet when their aren’t any kids out playing…. If you’re a parent what do you do for a balance of tech and old school play?